SMITHFIELD -- Residents will honor the memory of former Gov. John Reed, who had deep ties to the area, at a local service Sunday. SMITHFIELD — Residents will honor the memory of former Gov. John Reed, who had deep ties to the area, at a local service Sunday. Reed, who died of pneumonia Oct. 31 at the age of 91, spent summers at his camp on North Pond and was a familiar face in Smithfield. 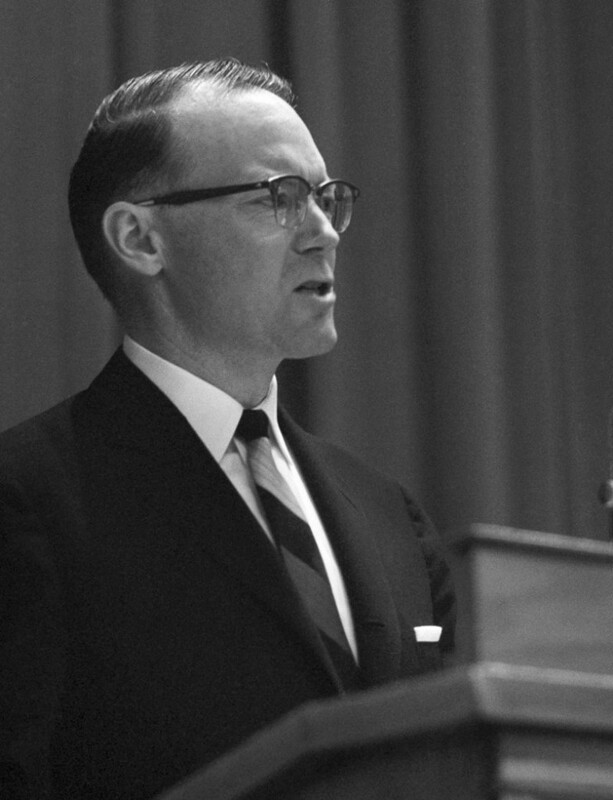 Reed was governor of Maine from 1959 to 1966, after which he served as chairman of the National Transportation Safety Board under President Richard Nixon and as the U.S. Ambassador to Sri Lanka and Maldives under presidents Gerald Ford and Ronald Reagan. Smithfield Baptist Church Pastor Bert Brewster said area residents were proud of Reed, who began coming to North Pond as an infant with his family. Reed was an active supporter of the North Pond Lake Association and regularly attended potluck suppers, church and Grange events, and other neighborhood gatherings. He was known particularly for his ability to set those around him at ease. Brewster said that the service will include a rendition of the “State of Maine Song,” one of Reed’s favorites, by the church choir. Other favorite hymns of Reed also will be sung. A service also was held in Washington, D.C.; and state and national flags in Maine were flown at half staff Nov. 7 in his honor. Reed will be buried in Riverside Cemetery in Fort Fairfield, where he was born. The Smithfield service, which was organized by a group of Reed’s area friends, will be held at 2 p.m. in the Smithfield Baptist Church on Lakeview Drive. The event is open to the public. Attendees are invited to share stories and photos of Reed. Organizers said refreshments will be served after the service.